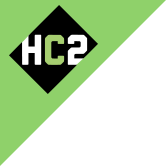 Analyst Coverage | Investor Relations | HC2 Holdings Inc.
HC2 Holdings, Inc. is followed by the analysts listed above. Please note that any opinions, estimates or forecasts regarding HC2 Holdings, Inc.'s performance made by these analysts are theirs alone and do not represent opinions, forecasts or predictions of HC2 Holdings, Inc. or its management. HC2 Holdings, Inc. does not by its reference above or distribution imply its endorsement of or concurrence with such information, conclusions or recommendations.